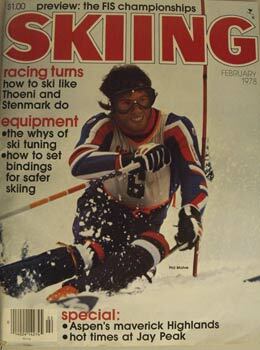 Originally published September 2002 issue of SKI Magazine. In January 1948, after an unexpected tropical rainstorm followed by a precipitous drop in the temperature, the bottom two-thirds of Sun Valley&apos;s Bald Mountain solidified into dark blue ice. So my partner Ward Baker and I spent a lot of our time practicing slalom. Later in January, I heard there would be a giant slalom the next weekend at Bogus Basin ski area near Boise. Ward and I decided this would be our very first official ski race. The Sun Valley Ski Club already had a hot team. Since both Ward and I were entrepreneurial (some called us cheap), we asked the club to buy our gas to Boise. "Why should we give you any money?" the club secretary replied. "We already have our team, and besides, you&apos;re only class C racers." She had never seen us ski, but she had seen where we lived. Despite the fact that rocks and stumps were sticking out everywhere, the Bogus Basin Ski Club set a good course. Gates were pine two-by-twos that looked like fence posts. Grooming had not yet been invented, so race courses were bumpier and slower. The Sun Valley Ski Club looked unbeatable. Each member was wearing a different yet expensive uniform. Ward and I felt like poor relatives from down in the hollow. I had on my $3 Army surplus pants, my $17 Chippewa ski boots and my $19 Northland skis. But I had a million dollars&apos; worth of determination. We had to start at the back of the pack because we had no racing record whatsoever. Stan Tomlinson from Boise won, and for some reason I was right behind him, in second. Ward placed fifth. There was obvious disappointment among the official Sun Valley Ski Club racers when they realized that the Parking Lot Brigade had beaten them handily. The next weekend there was a giant slalom at Snowbasin near Ogden, Utah-the 2002 Olympic venue. Unfortunately, Ward contracted the flu and couldn&apos;t race. We had been practicing with Dean Perkins from Ogden and Don McDonald from Seattle. We had to figure out a way to get to Ogden. We decided that I would drive, Don would buy gas and Dean would reserve his mother&apos;s basement in Ogden. Today the trip from Sun Valley to Ogden is an easy five-hour drive on a four-lane freeway. Back then it was a 10-hour drive, for a variety of reasons, some of which are listed here: The road was two-lane, icy and winding. The tires on my car were as slick as bowling balls, so we couldn&apos;t go over 30 miles an hour without doing a 360 spin. We stopped twice to examine roadkill deer to see if it was fresh enough to take to Dean&apos;s house for a Saturday potluck dinner with his parents. It was not. I was young and hadn&apos;t learned to read a fuel gauge, so we ran out of gas in the middle of the night in the middle of nowhere. The next morning, in the lodge at Snowbasin, we met up with our pals from the Sun Valley Ski Club team. With a late start number because of my C classification, I had time to get ready for the race like the hotshots. I sidestepped the course for one last look before my bib was called. Then it was my turn. "Five, four, three, two, one, go!" And go I did. The snow was soft but well packed with no ice. My $19 skis worked great, and it seemed I had even picked the right wax. At 3:30 I was sitting around the warming hut comparing notes with the other racers when the officials made this announcement: "The winner of the Eccles Cup Giant Slalom, racing for the Sun Valley Parking Lot Team, is...WARREN MILLER!" I had beaten 109 racers. Winning may not be the best revenge, but it was a good start.